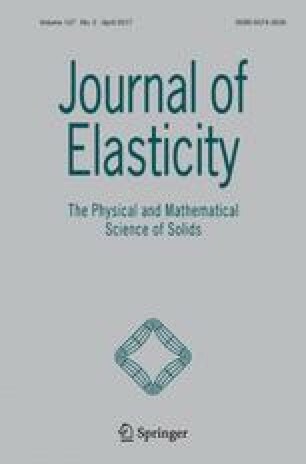 A representation theorem on material tensors of weakly-textured polycrystals was recently established by Man and Huang, which delineates quantitatively the effect of crystallographic texture on the material tensor in question. Man and Huang’s theorem is based on the classical assumption in texture analysis that ODFs are defined on the rotation group SO(3), which strictly speaking makes it applicable only to polycrystals with crystallite symmetry defined by one of the 11 proper point groups. In this paper we let ODFs be defined on the orthogonal group O(3) and extend the representation theorem of Man and Huang to cover pseudotensors and polycrystals with crystallite symmetry defined by any of the 21 improper point groups. In SO(3)-based texture analysis, as a result of the inherent limitation imposed by the restricted definition of the ODF, each improper group of crystallite symmetry in question is routinely treated as if it were its peer proper group in the same Laue class. In light of the extended representation theorem, we examine the conditions under which this ad hoc practice will still work as far as effects of texture on material tensors and pseudotensors are concerned and the circumstances under which it won’t. The research reported here was supported in part by a grant (No. DMS-0807543) from the U.S. National Science Foundation.